5 oz. 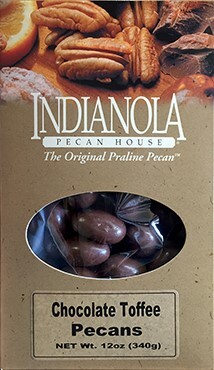 Box Chocolate Amaretto Pecans - we add amaretto to our popular chocolate pecans! Try this creamy chocolate amaretto pecan. You can't eat just one! Try this chocolate toffee pecan for a different twist on the chocolate pecan!